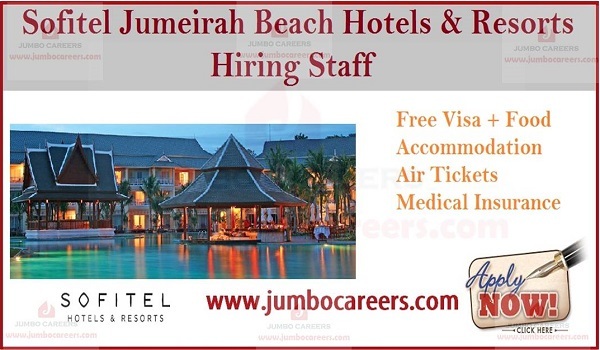 Sofitel Jumeirah Beach Hotels & Resorts Dubai is hiring experienced hotel staff. Its a free and direct recruitment by the hotel. * Individuals should be very helpful and friendly with customers. And having the capability to serve them a great experience. * Every customer should be the special one for you. Respect them fully in any matter. * Preference will be given to all nationalities. No nationality restriction from our side.